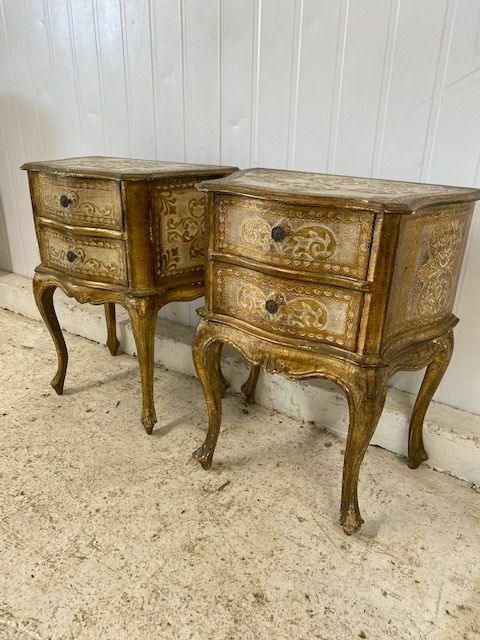 Offering this odd pair of vintage gilt Italian bedside cabinets or lamp tables. Just in - measures approx. 65cm wide x 35cm deep x 52cm high.